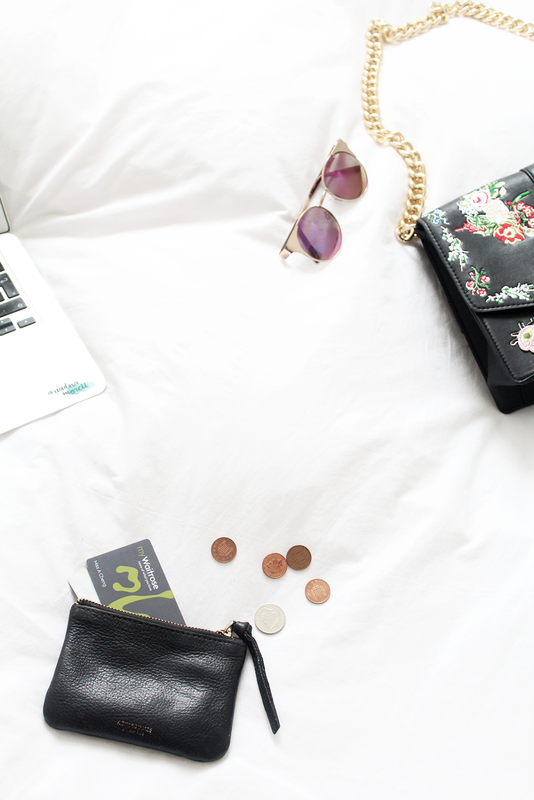 HOW TO BUDGET AS A STUDENT | RAWR BOWS. If I have learnt something ever since I moved out is that life is freaking expensive, specially if you live in a city. 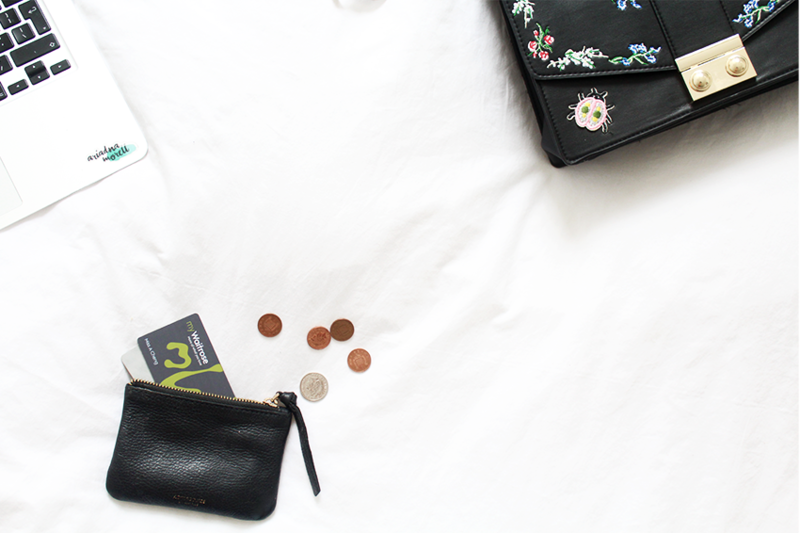 As someone who loves eating out and online shopping, not being broke is sometimes a struggle but after years of trying to budget whilst still going out and doing fun stuff as often as possible, I think I sort of have the hang of it. 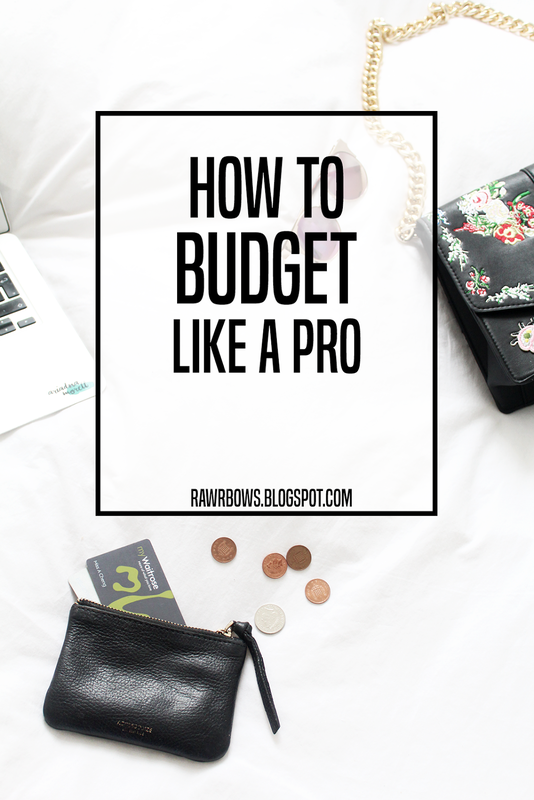 As I know for a fact that I am not the only person in this world who sometimes struggles with budgeting, I thought I would share some of my tips that have worked for me. First and foremost: do not buy your daily coffee. I drink coffee pretty much every day and, as the white girl that I am, I used to get it from Starbucks every morning on my way to class. £2.45 for a latter might not be outrageous (you'll actually struggle to find something significantly cheaper in central London), but it is still some money and it adds up FAST. Now I try to have my coffee at home as often as possible and it's saved me so much money! Similar to not getting take away coffee every day, try to limit how many times you go out for meals every week. Living in central London makes this ridiculously hard, I found myself going out for lunch, dinner or breakfast about three to four times a week which, in my opinion, is absolutely insane. Each meal is usually between £10 and £20 so that's about £40 a week just on meals out. I try to eat out once or twice a week now - there is no need to spend £15 on avo toast and fresh OJ every weekend even if Instagram makes it seem like it is a necessity. Another important point is to keep track of your expenses. It is easier than you think to forget how much you've already spent that week and I personally tend to underestimate how much I've spent which is not good. Finally, STOP.GOING.ON.ASOS 'just to have a look'. We all know you are bound to find something you absolutely love and definitely 'need' in your life. Which, by the way, you're probably going to wear it about twice in your life and ask yourself why on earth did you ever buy it. So, stop online shopping out of boredom. You'll thank me later.